I’d forgotten how good the stories generally are. I’d also forgotten just how rampantly sexist the show was! Good grief, I don’t want to see Kirk fighting/shirtless/in a ripped shirt one more time nor do I want to see another woman filmed with soft focus, FFS. Every woman so far has been limited to serving Kirk meals/coffee/kisses/love-struck limpid gazes – if not that, then she is simply screaming, singing, crying, giggling, teasing or speaking in a sexual “come hither” tone. Every single “intelligent scientist” of a woman so far has succumbed to her softer female side & the stronger man – the historian, Lt. McGivers to Khan; the psychiatrist, Dr. Dehner to Mitchell the wannabe god, the botanist, Leila Kalomi to her feelings for Spock. It takes going back & watching these old shows to fully appreciate just how much things have changed. Sure, there is still so much to be done yet in terms of equality for all, but we really have made some good strides towards the goal. LOL, what else would I search for today? ;) I know I’ve featured some of these patterns before, but some are just too fantastic not to point out multiple times! 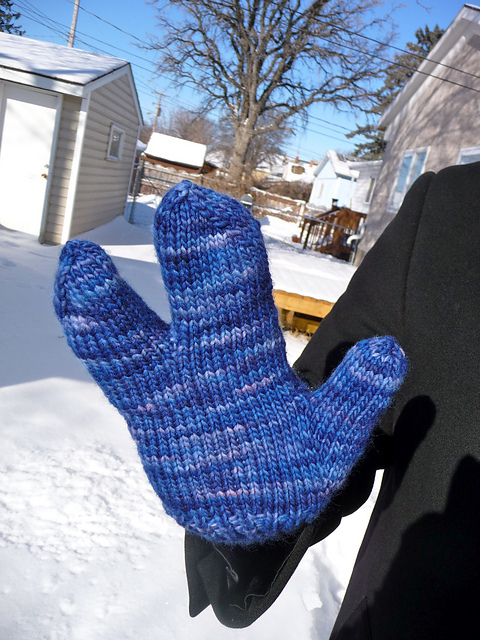 As always, these aren’t mine, click the photo to go right to the Ravelry pattern page. 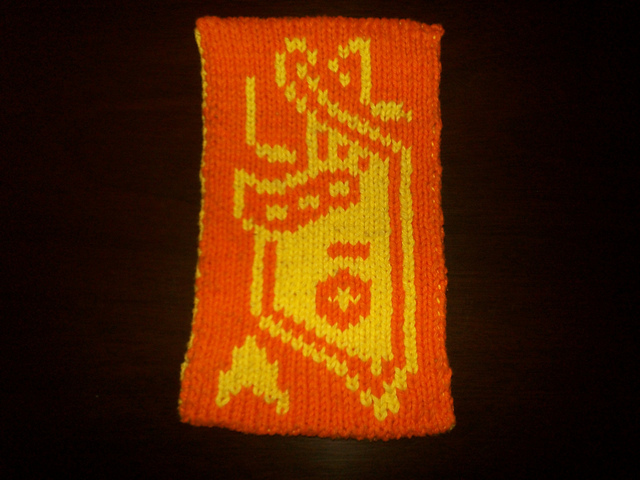 * You could do so much with this pattern, a scarf, cowl, wall hanging... :) Someone even turned it into a poncho! 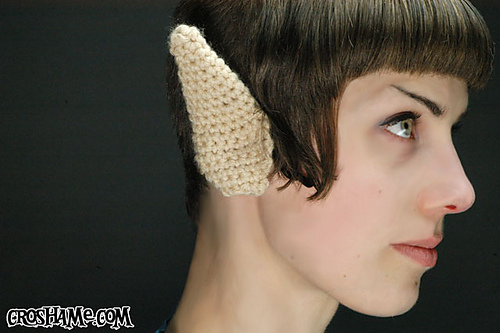 * Yes, this hat is actually from the 2009 Star Trek movie, but it's just too awesome not to include! :D Besides, I adore Scotty. 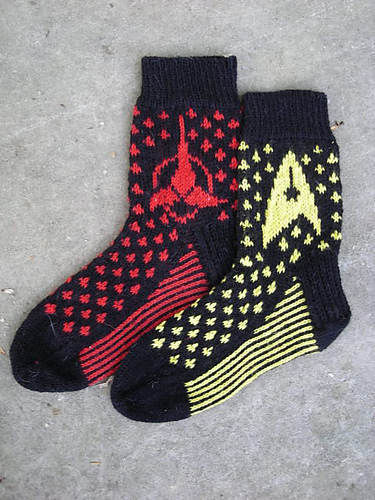 This entry was posted in Running and tagged Free Patterns, Geek Knitting, Knitting, Running, Star Trek, Today's Ravelry Search. Bookmark the permalink. TOS is still worth watching though, it had some good plotlines about racism.